Cogged V-Belt; Type AX, Classical; Outside Circumference 41 Inch; Inside Length 39 Inch; Top Width 0.51 Inch; Thickness 0.34 Inch; Material Pre-Stretched Polyester; Applicable Standard RMA, ISO 9001; Pitch Diameter 2.2 Inch; Angle 40 Degree; Outside Diameter 2.45 Inch. BESTORQ® single, raw edge notched V-belts give premium belt performance. The belts are constructed of highly engineered, high performance components. The components are made using the latest in belt technology available on a global basis. 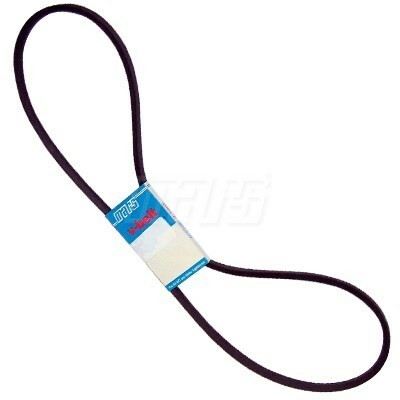 The “X” in the part number refers to higher load ratings than standard wrapped belts.